Fun. Adventure (Mild.) Luscious Kentucky Food. Lovely Secret Spot. You, If You Want! Edible Louisville & The Bluegrass magazine plans several inventive, tasty pop-up meals in 2014. The first, a small private event, happens in Lexington on April 29, at a location to be disclosed...eventually. Email me for an invitation and details. Peek at the projected menu and producers here. Savoring Kentucky will play sous chef, a favorite role. 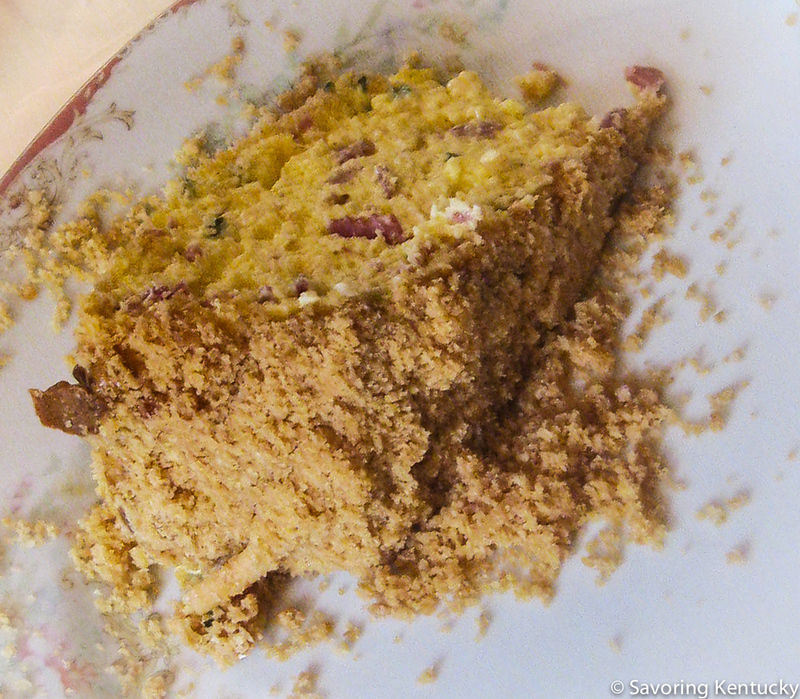 We tested the appetizer, a rather astonishing thing called Kentucky Country Ham Torte, at this week's Cornbread Supper. Kentucky Country Ham Torte, a savory cheesecake-style appetizer from Bluegrass Gatherings and Edible Louisville & the Bluegrass. We squoze every Kentucky and organic and high quality ingredient we could into the recipe, and people liked it. Evidence? Lots of talk, and then they asked to take the last bits home with them. This recipe comes from the new Bluegrass Gatherings cookbook, a project of the Junior League of Louisville. published in the April/May 2014 issue of ED&TB. We will make and serve the Bibb Lettuce Salad with Benedictine Dressing as well. A bit closer to the "good health" side of the daily meal ledger for most of us!